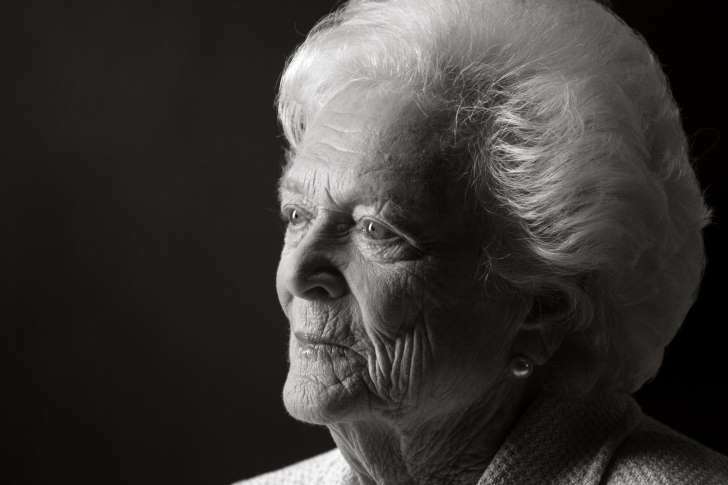 © David Hume Kennerly/Getty Images Barbara Bush in 2011. She died on Tuesday at age 92. And so a generational battle was joined. As her husband, George H. W. Bush, put it in his private White House diary, Mrs. Bush was being attacked “because she hasn’t made it on her own — she’s where she is because she’s her husband’s wife.” Mr. Bush added: “What’s wrong with the fact that she’s a good mother, a good wife, great volunteer, great leader for literacy and other fine causes? Nothing, but to listen to these elitist kids there is.” To the young women of the last decade of the 20th century, Mrs. Bush, who had dropped out of Smith College to marry, seemed a throwback to a less enlightened time. Part of the reason grew out of the generational and cultural disposition that had prompted the Wellesley protesters to speak out. Born in New York City in 1925, raised in Rye, N.Y., and long shaped by the WASP code of her mother-in-law, Dorothy Walker Bush, Mrs. Bush was reflexively hospitable. The elder Bushes governed in a spirit of congeniality and of civility, a far cry from the partisan ferocity of our own time. In her White House — and at Camp David and at Walker’s Point, the family’s compound on the coast of Maine — Democrats and Republicans were welcomed with equal frequency and equal grace. She had always known what she was getting into, for George H. W. Bush saw life as both a great adventure and as a long reunion mixer. After graduating from Yale in 1948, Mr. Bush drove himself to Odessa, Tex., sending for Barbara and George W., who had been born in 1946, once he’d rented half a duplex they were to share with a mother-daughter team of prostitutes. It was the first of 27 moves the Bushes would make on their American odyssey.